The man who has been warden of the Louisiana State Prison at Angola is resigning as of January 1st, somewhat under fire. Burl Cain has been synonymous with the sprawling prison, the largest of its kind in the U.S., but he’s recently been criticized for real estate deals connected to inmates and is now the subject of an investigation by the state legislative auditor. 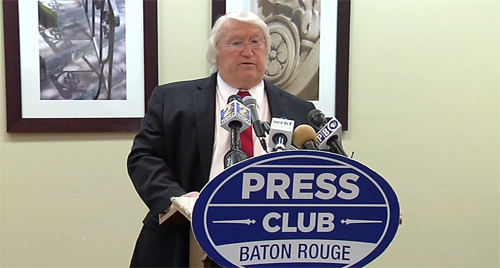 The Baton Rouge Advocate broke the story and said friends say he’s been good for the prison but question his ethics. He’s been there 21 years and while there helped with an Oscar-nominated documentary called The Farm, later made into an opera. Cain is the brother of retired state lawmaker James David Cain of Dry Creek.